The children can get used to working out the broken letters by matching them to the full form letter. Laminate the sheet to keep it safe and usable for many years to come. 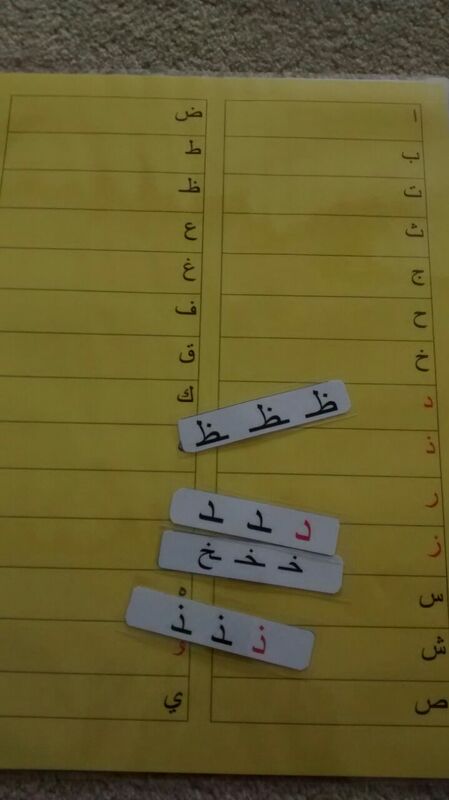 This entry was posted in Games and tagged activity, arabic, arabic alphabet, arabic alphabet broken forms, arabic alphabets, arabic learning game, fun, language, learning, Qur'anic, Qur'anic Arabic, quran, Quran curriculum, quran syllabus. Bookmark the permalink.